When Naomi is not on the move, she loves spending time at home with her big and clumsy dog, Mayzie, or going out to hear the Dayton Philharmonic Orchestra under the starry ceiling at the Schuster Center. Naomi always loved to write, but as far as she knew, it was only a hobby. When it came to college and making decisions about a career, her mom found a practical major and pointed her in the direction of writing. We are thankful to Naomi’s mom—Naomi may be just out of Cedarville University, but she definitely knows how to edit for clear communication, write effectively for target audiences, and structure information in a way that readers will understand. 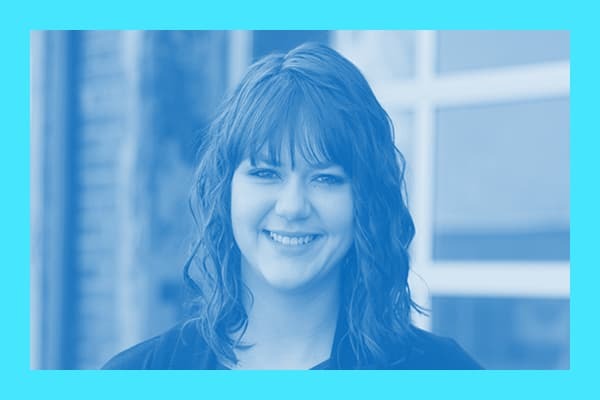 Naomi specialized in Professional Writing and Information Design and also helped establish a research journal, Channels, while at Cedarville University. With experience from numerous internships, she has already brought fantastic insight, pristine organization, and amazing collaboration to The Foundry. Naomi is a wonderful addition to the Sparkbox communications team. Please join us in welcoming Naomi, and learn more about Naomi on her website.